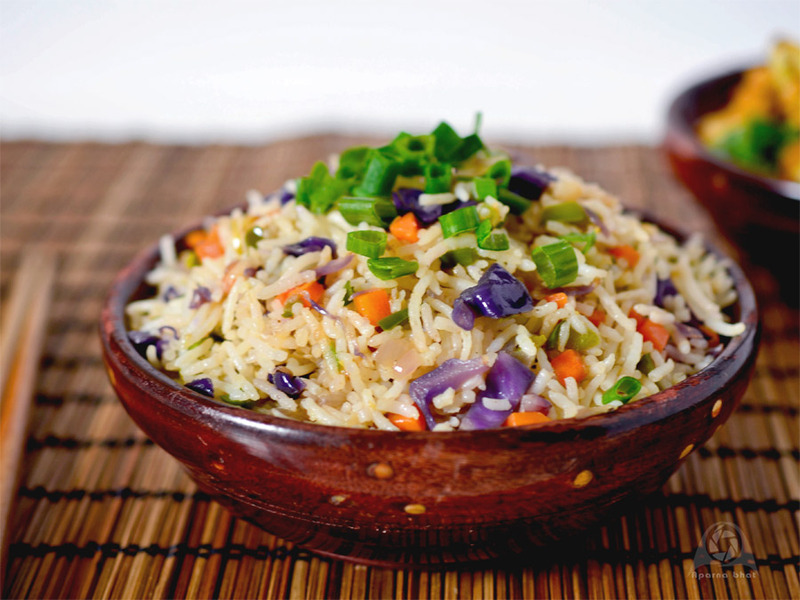 This is a famous Chinese recipe of cooked rice tossed with lot of vegetables. Who can say no to this rice? An easy and fast recipe, there are countless variations to prepare it. I usually follow this noodles recipe for fried rice too, replace boiled noodles with cooked rice. This time I tried tweaking TD's recipe from her book "Tiffin Treat for Kids". I have used purple cabbage instead of regular one and sprinkled some garlic powder in addition to white pepper powder. Some may find the taste of purple cabbage a bit bitter, but believe me there is no difference in the taste and the purple color in the dish is surely an attractive one amidst green and orange. Wash and soak rice for 15 mins [ will depend on the brand that you use, I usually follow the pkt instructions to cook the rice]. Cook rice in salted water till done. Take care that the grains remain separate. Fluff the rice and spread it on a plate. Allow it to cool. Make sure to assemble all the ingredients and utensils in place before your begin. Heat oil in a wok till it smokes. Add spring onion whites and saute it on high flame for few seconds. Add chopped capsicum, carrots and cabbage. Saute these vegetables on a high flame for few minutes. [Don't saute them on low flame and for long time otherwise the veggies will turn soft]. Now add soya sauce, pepper powder and garlic powder. Toss everything very well. Saute on a high flame for another 2 mins. Next add rice and stir it gently until it gets mixed and the flavours combined. The rice is ready. Serve it with any of the indo-chinese side-dish or enjoy it as it is. If you want to send it in tiffin, cool it slightly before packing in the box. 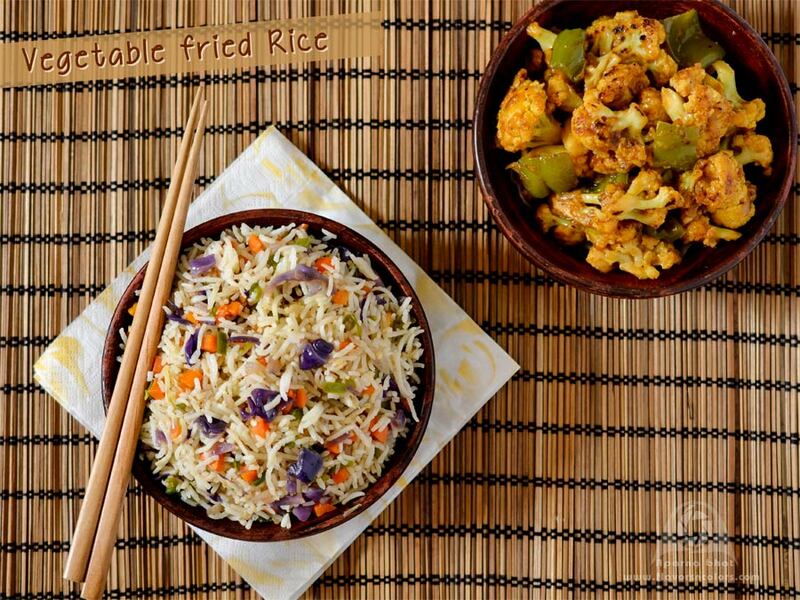 Who can resist to this fried rice, love those bites of purple cabbage, looks very attractive. Aparna, your bowl looks so sinful! Nothing like homemade fried rice and especially when it is looking like how you have presented, so inviting..I love the texture the purple cabbage is giving to the entire dish! The pictures r very inviting, Aparna.